American star Carli Lloyd has admitted she was disappointed when Australian Moya Dodd failed to secure the Asian Football Confederation’s (AFC) seat on the FIFA Council at the body’s Congress here earlier this week. Lloyd, a World Cup winner and two-time Olympic gold medalist, is here as part of the expensively-assembled FIFA Legends program spearheaded by President Gianni Infantino. Bangladesh’s Mahfuza Akhter Kiron, who beat prominent women’s football campaigner Dodd to the AFC’s seat on the ruling Council reserved for a female, provoked outrage when she failed to name the current holders of the Women’s World Cup. Speaking to the BBC, Kiron was asked to name the winners of the 2015 tournament and first guessed North Korea, who won the 2016 under-20 World Cup. The Bangladeshi official then replied with Japan, who lost the final 5-2 to the United States two years ago, where Lloyd scored a hat-trick. “No disrespect to Mahfuza, I know how hard Moya has worked and how much time and effort she has put in,” Lloyd said here. “I know how much she has done to help grow the game and help women’s football so I was a little disappointed to see that she didn’t come away with that election. “But I know she is going to continue to fight and continue to keep being Moya. The AFC’s decision to choose Kiron instead of Dodd, who served as a co-opted member of the FIFA Executive Committee from 2013 to 2016, was seen as typical of the current FIFA regime under Infantino. However, Lloyd, who participated in a “Think Tank” with Infantino and some of the other FIFA Legends present here, such as Brazilian pair Ronaldinho and Cafu and Argentina’s Diego Maradona, insisted that the worldwide governing body was moving in the right direction. “Rome wasn’t built in a day,” added the 34-year-old, who is currently on loan at English club Manchester City. “When you are trying to restructure things and change things it is going to take a little time. 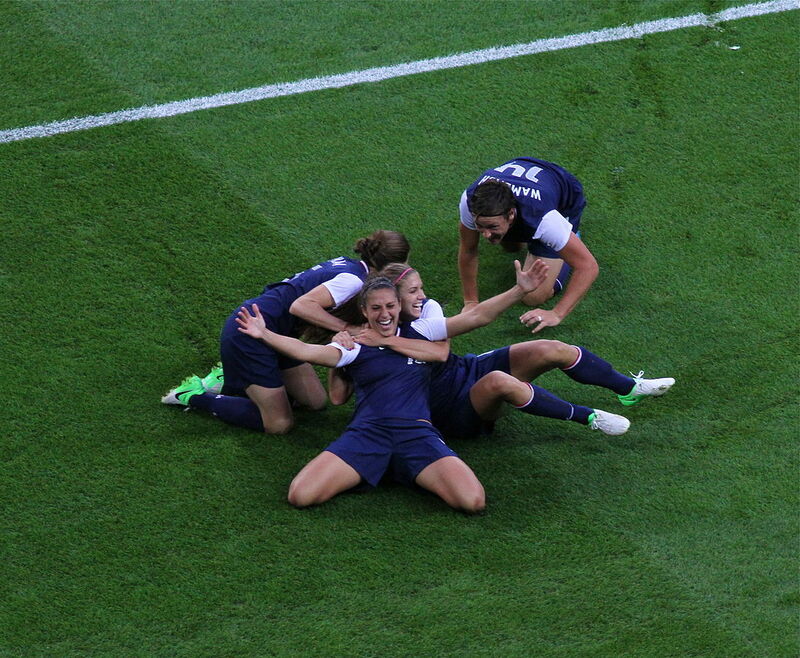 “I know that the women’s game is getting better and slowly things are starting to happen. “As long as we have a President who is interested in that and wanting to make players happy, that is ultimately what it comes down to.